2. Right Click on the link and Open Link Window. 3. Enter a Label and a direction. 4. 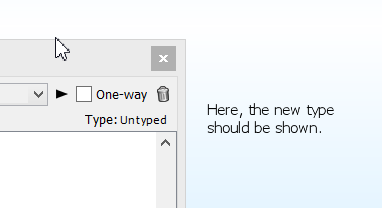 Now, to add a Link Type click on 'Untyped|New Type'. 5. 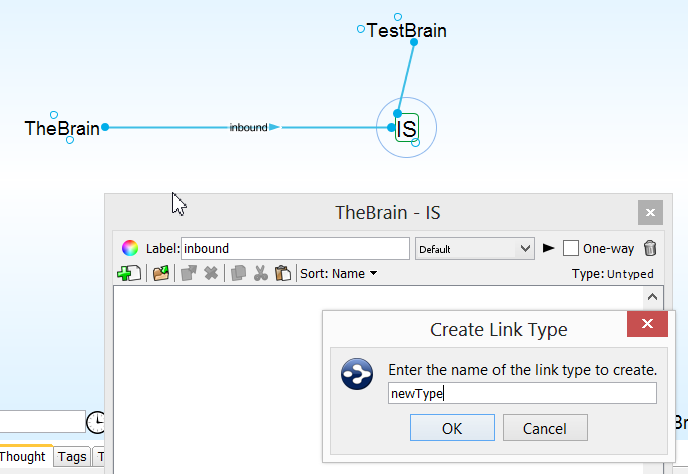 Enter your new link type. 7. The new type IS NOT shown. Apparently you are using a different version of TheBrain. (Just look at the dialogbox. You are Working on a Mac.) I've taken my example with Windows 8.0 and TheBrain 8.0.0.3. This has been reported as a Windows only issue. Thanks. What about the file type for uploading videos? My video is uploaded to youtube and then added here using the 'Insert Video' option in the toolbar.